Georgia Land and Timber Properties currently live accepting bids at property auction online. 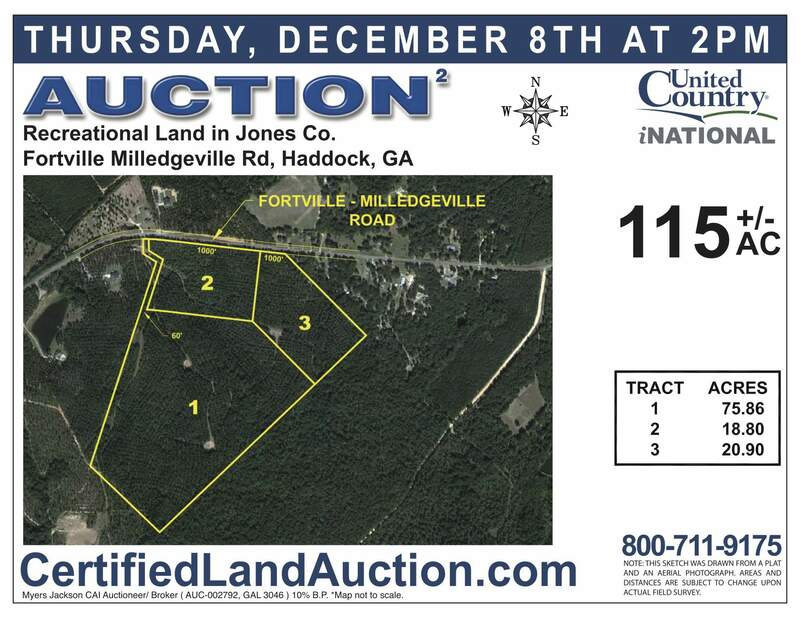 GA Land Auctions are ending soon. Read more to learn details of Georgia Land and Timber Property auctions, how to register and bid for each property auction online. Hundreds of acres of Georgia Land and Timber Property For Sale now are available for purchase at Property Auction Online. 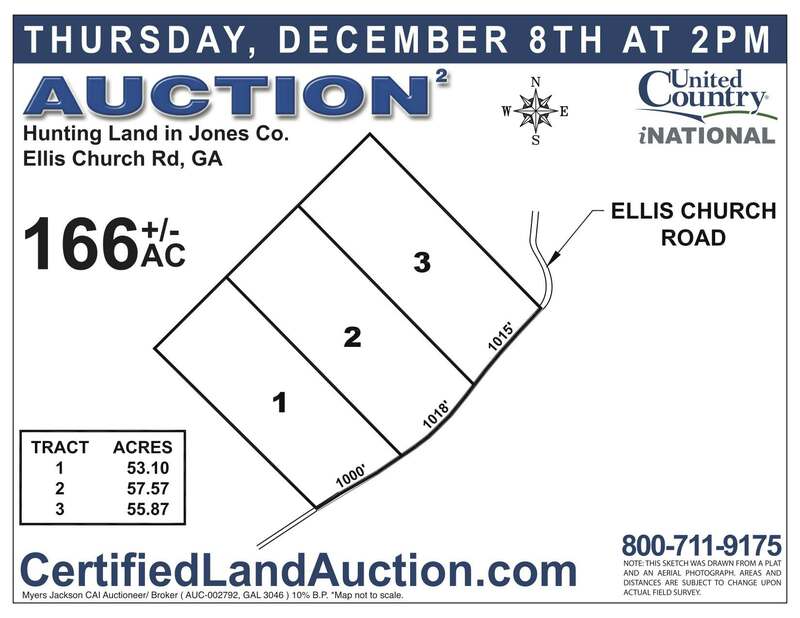 Online Bidding for Georgia land properties start ending Thursday, December 8th at 2:00 pm. Visit the Auction Calendar at CertifiedLandAuction.com for details of each property auction online. Georgia Plantation style properties are offered divided or whole in large and small tracts in Forsyth, Haddock, Gray areas of Monroe & Jones Counties. 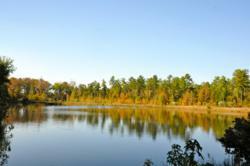 GA Land, Waterfront, Recreational and Timber Property to include 267+/- Acres Real Estate with large pond in Forsyth, 115 Acres on Fortville Milledgeville Rd, Haddock, GA, 166+/- Acres on Ellis Church Road, Haddock, GA. Additional offerings include a lot near Lake Oconee and on Gray Highway, in Gray, Georgia; With additional offerings in Florida, Georgia, Carolinas ending in December. Georgia Land and Timber Property tracts, located in Macon, GA area, are available in 20, 50, 75, 100+/- Acre divisions. 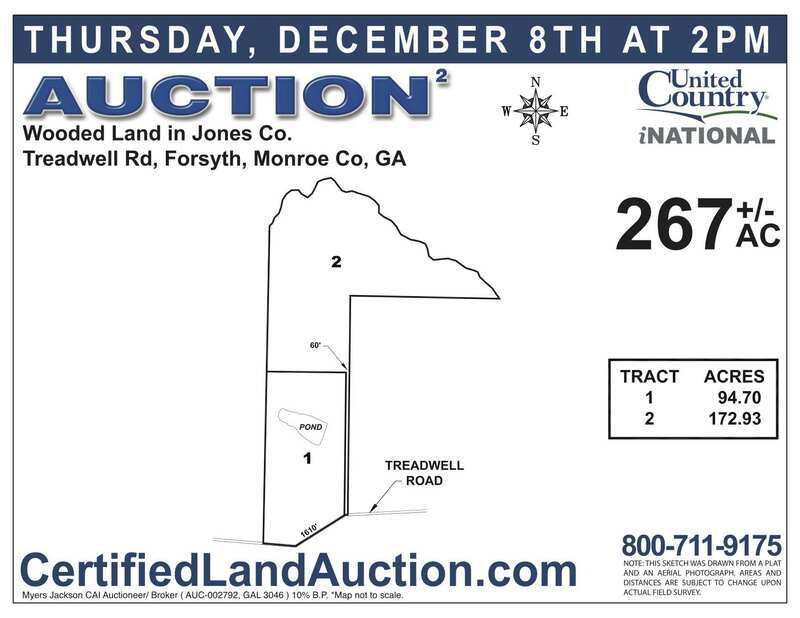 See specific Real Estate Auctions Online for the specifics of each GA land real estate auction and divisions available. You can also register to bid for each property auction online from our Auction Calendar at CertifiedLandAuction.com; Upon registering for GA Plantations, Hunting & Timber Land auctions users will immediately receive an email with username & password information to log into the Property Auction Online and start bidding on available real estate. Georgia properties are being auctioned by Certified Real Estate, Myers Jackson, Auctioneer - GA Auction License #AC003046, 10%Buyers Premium. Terms, Conditions, Plat Maps, Photos and more can be found on our auction calendar or contact us at 855-LandBank (855-526-3226) for more information. Don’t delay, Real Estate Auctions Online are ending soon! United Country Real Estate is the largest fully integrated network of conventional and auction real estate professionals in the United States. The company has been an innovator in real estate marketing since 1925. United Country supports nearly 600 offices across the U.S., Costa Rica, Panama and resort areas of Mexico, with a unique, comprehensive marketing program that includes one of the largest portfolios of property marketing websites (more than 3,000 separate sites and traffic of approximately 3 million visitors per month), multiple United Country real estate catalogs with national distribution , an extensive buyer database and national advertising of local properties that reaches more than 90 million homes per week. United Country has recently been recognized by AllBusiness.com, The Land Report, Entrepreneur and The Wall Street Journal as one of the top U.S. real estate companies.